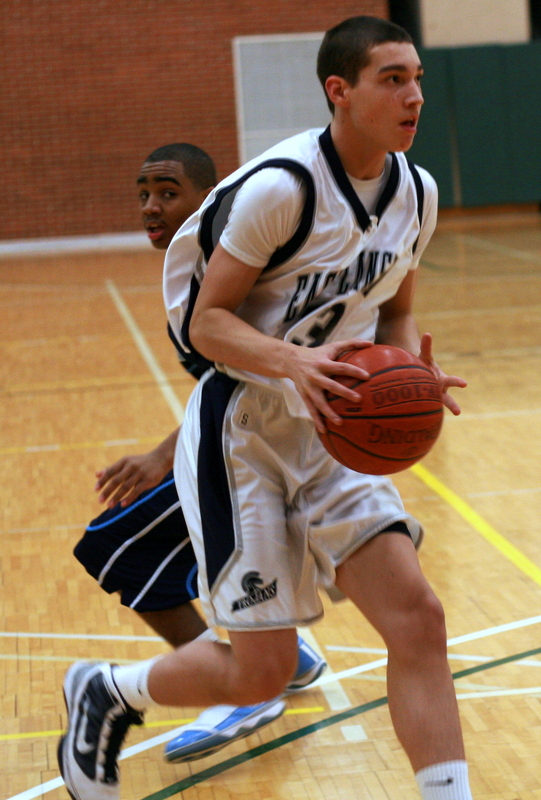 East Lansing freshman Steve Haney, Jr. I had the opportunity to see a lot of top tier recruits this weekend and rather than writing individual game stories where everyone already knows the result, I just thought I would do a quick rundown of the individuals. He’s probably the fastest point guard in the state, period. Even though he missed the game winner against Powers on Sunday, it should be noted that Arnette made it almost the length of the court in three seconds flat. This kid has football offers from almost everywhere, but he’s legit on the hardwood as well. The best game in Flint on Friday night is at Flint Carman-Ainsworth as the Cavaliers take on Big Nine rival Flint Powers. On paper this looks like a really good game. The Cavs were a Patrick Lucas-Perry basket short of winning two out of three against the eventual class B state champions last season and return pretty much everybody. This season, Flint Powers is as good or better and showed it on opening night against a pretty good Flint Northwestern squad. Flint C-A, however, was on the ropes against a Grand Blanc team depleted by defection. The vultures are circling the Big er…Nine. Four remain after this season’s defection of Grand Blanc. Which team will be the next to leave the island? Despite the losses, this is pound-for-pound, one of the best conferences in the state, including the returning B champion and an A powerhouse. In other words, if you’re a non-conference opponent, then you have a 50 percent chance of being smashed. I’m still crossing my fingers that somehow the Saginaw Valley League picks these teams up, but until then, this is how the conference looks for this season.